How to edit your Pipeline targets? Set monthly revenue targets in your CRM in two ways; individual and default sales targets. Open the Pipeline page → beside the Target button select Edit. 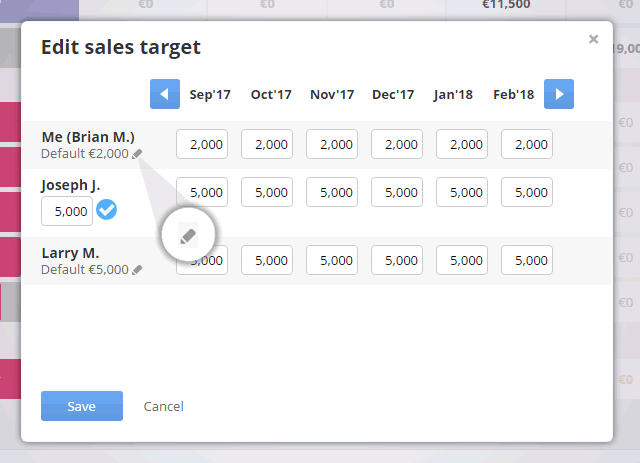 In the Edit sales target pop-up, enter individual monthly targets for you or your team member in the boxes provided. In the Edit sales target pop-up, click on the pencil beside a team member’s name. Enter a default value & click on the blue tick to set the default sales target. 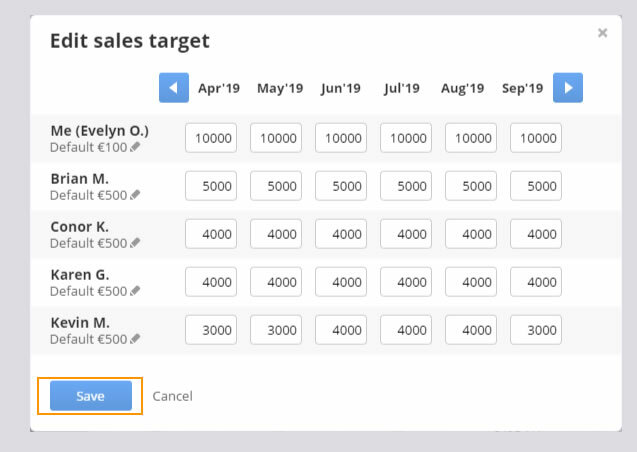 Default target value for a team member changes the target value for all months into the future except those which you have already manually set. How to add/edit/remove deal stages? How to use Pipeline filters? How to add /edit /remove a deal?